The rivalry between Australia’s two largest cities has been going on for a long time. At .id we don’t seek to say which one is “better”, but just which one is bigger! 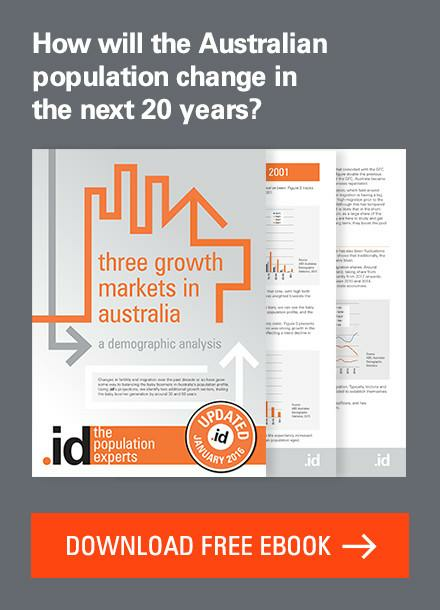 The latest population data from ABS shed some light on this question, which we first asked in this article from 2011. 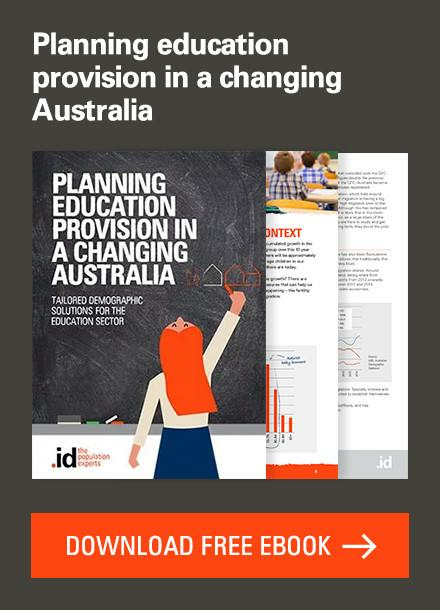 According to the latest ABS figures, published in Regional Population Growth at the end of March, the population of Greater Melbourne at June 30th, 2015, was 4,529,496. This was still below Greater Sydney, which is nudging 5 million, at 4,920,970. By these figures, Melbourne is about 391,000 people smaller than Sydney, or about 8% smaller. 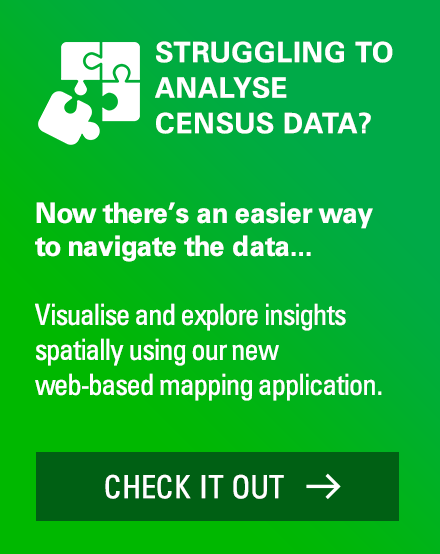 Combined, they comprise 9,450,466 people, or just under 40% of Australia’s population. These are the “Greater Capital City” areas which are generally used to represent the state capitals in Australia. They tend to be defined to go out a bit further from the city than many people would think, and include some clearly separate towns. For instance Greater Sydney includes the entire Central Coast and Blue Mountains. While Greater Melbourne stretches out to include the entire Mornington Peninsula, Pakenham, Warburton, Kinglake and Gisborne. Slightly confusingly, the ABS also publishes another, slightly smaller definition of Melbourne and Sydney (and other centres) in their “Significant Urban Areas” list. By this definition, Sydney is 4,526,479 and Melbourne is 4,353,514. This includes just the “built up” area which is contiguously urban and excludes places like the NSW Central Coast, Melton and Sunbury in Victoria. We will continue to use the Greater Capital City definitions. In the last 10 years, Melbourne has added 832,124 people, while Sydney has added 703,407 people. Both cities had a growth rate above the national average in 2014-15, but Melbourne’s was 2.1% and Sydney’s 1.7%. In just the last year, Melbourne added 91,593 people, while Sydney added 83,309. Victoria is the fastest growing state (for the first time since 1942, and only the second time since 1888!). If this trend were to continue, Melbourne would “make up” the difference of 391,000 people between Melbourne and Sydney, in 47 years time. This puts it in the year 2062. If we use instead the average difference in growth over the past 10 years, Melbourne would overtake Sydney in just 30 years, in the year 2046. 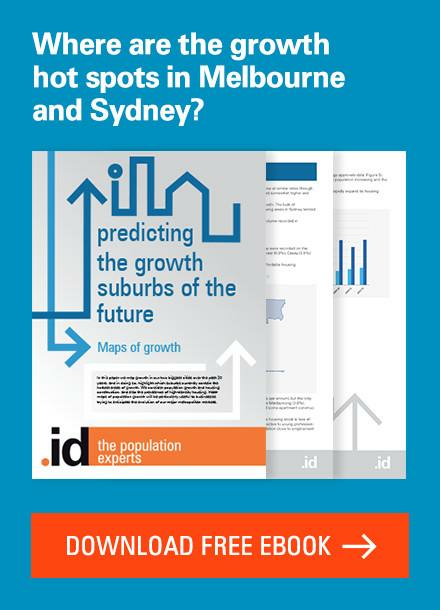 The difference between these two methods is due to the fact that Sydney’s growth rate has actually picked up considerably over the past 3 years, as a building boom takes hold. So if that trend continues, Sydney may power ahead and grow faster than Melbourne. Nevertheless, both cities will be much larger by the time Melbourne equals Sydney’s population, if it ever does. If this happens in 2046, based on current growth rates, both cities would have a population around 7.3 million. Will that also increase the % of total population who live in these two Megapolis’s? These figures present some planning issues for both governments no doubt – I hope they’re as on top of it as you guys are! Like all of these things, boundaries are important. The NSW State Government seems to see Sydney differently to the ABS. 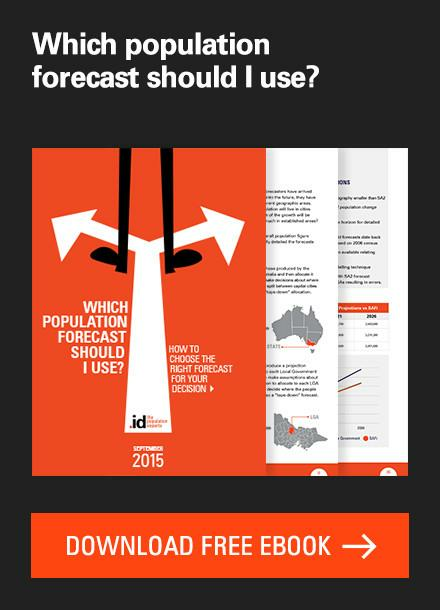 Their metro region in their population forecasts as well as their Greater Sydney Commission do not regard the Central Coast as part of Sydney. If we accepted their view of the world, Melbourne will be larger in 2 or 3 years! Melbourne will be the next biggest city of Australia much faster then projected. I expect it will be before 2030. I believe the property sector in Sydney will crash. When it crash, everybody will wanna go to melbourne. MELBOURNE POPULATION IS ALREADY BIGGER THAN SYDNEY. This is a late comment but I am surprised ‘population experts’ haven’t flagged this. Sydney includes North Coast area in its urban population count. But Melbourne does not include Geelong and the Surf Coast in its count although these areas are part of the Melbourne urban sprawl, and closer to Melbourne than the North Coast areas are to Sydney. Hi Will, thanks for the comment. Sydney does not include the “North Coast”, which is usually the term given to the roughly Port Macquarie to Coffs Harbour area. Greater Sydney does however include the Central Coast area, with a population of about 330,000, which I assume is what you’re referring to. The Central Coast is more contiguously urban with both Sydney and Newcastle than Geelong is with Melbourne, separated only by the natural barrier of the Hawkesbury River rather than any rural area. 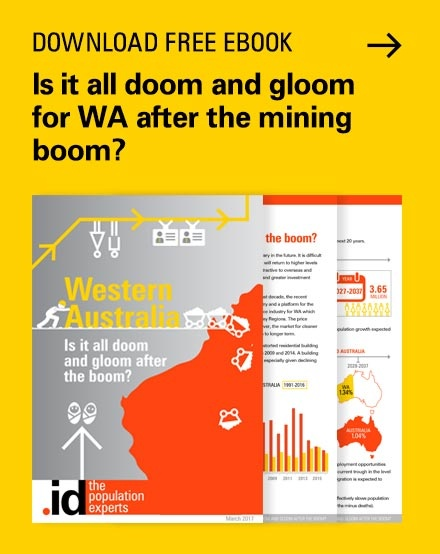 It’s also included due to a large share of population working within metropolitan Sydney, while Geelong, though there is some commuting to Melbourne, is more self-contained. 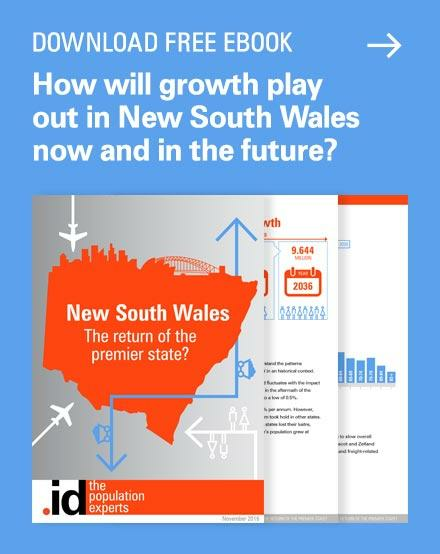 Nevertheless, it’s a worthwhile thought exercise to take Central Coast out, and if we do this we’re left with a Greater Sydney population of right on 4.7 million for 2016. Greater Melbourne’s population is 4.725 million, so just marginally higher. 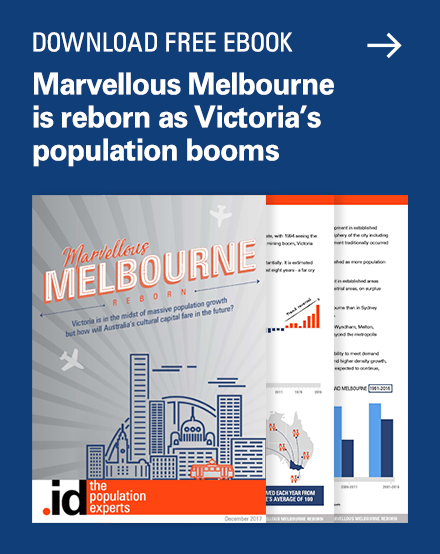 But it’s also worth noting that Melbourne’s population includes areas which are equally distant from the city, such as the southern Mornington Peninsula, Warburton and Gisborne. Take these out and Sydney would be larger again. It’s certainly the case that the cities are much closer in population than they were 20 years ago, and it really all depends where you draw the boundaries. There is a case to be made for a Newcastle-Sydney-Wollongong metropolis stretching with a nearly contiguous urban area over 300km of coastline, and Melbourne doesn’t have the equivalent of that.